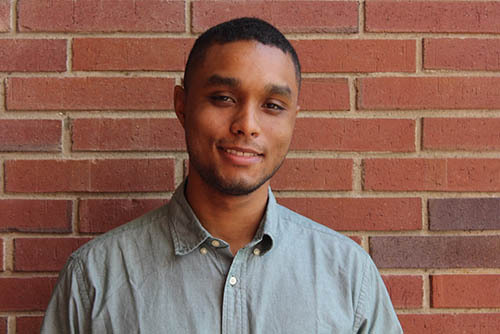 WKU Public Radio has named Colin Jackson as its new local host for Morning Edition. He will provide local news, weather and programming updates each weekday during NPR’s national morning show. Jackson will also report for the station. Jackson comes to Kentucky from Michigan where he worked in the newsroom of NPR member station WDET in Detroit. He also has experience as a host and producer with Townsquare Media in Lansing, Michigan, and Impact 89FM in East Lansing. Jackson holds a Bachelor of Arts degree in Social Relations & Policy and Spanish from Michigan State University. Kevin Willis, who has been serving as interim Morning Edition host, will continue with his regular duties as news director. WKU Public Radio provides national and local news, talk and music programming to two-thirds of Kentucky, southwest Indiana and northern Tennessee with its four transmitters located in Bowling Green (88.9 FM), Henderson/Owensboro (89.5 FM), Somerset (89.7 FM) and Elizabethtown (90.9 FM).